Google Mashup Editor (GME) is one of the most long-awaited and useful tools for mashup developers. 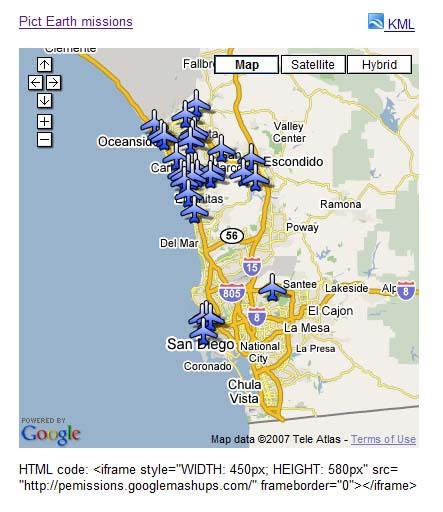 GME helps developers create and edit dynamic components in Web pages, such as maps, tables, lists, and other elements, based on connections with external data. These elements can be then be included in Web pages and blogs using an iframe. This tutorial will show you how to incorporate a KML file into a Map created with GME. It has the utmost simplicity, with a clean and distinct interface, like the majority of Google products. It has a convenient project index with a constantly increasing collection of code examples, as well as the author's code. It allows for the easy storage of additional resources to the project (such as image files). It has an easy-to-use XML debugger. It has lots of easy-to-use sample applications. Before the advent of the Internet, spatial data was traditionally difficult to share. However, with the development of the Internet, mapping applications became a standard way of easily sharing Geographic Information Systems (GIS) data with the world. KML is becoming a standard for the presentation and interchange of GIS data because it is compact, easy to develop, and is supported by popular applications such as Google Earth and Google Maps. In the following example, I'll be using a KML file that points to the collection of the photographs taken during Pict Earth USA flights. Your post helps to understand about GME. It is very useful for begginers. Thanks for sharing.